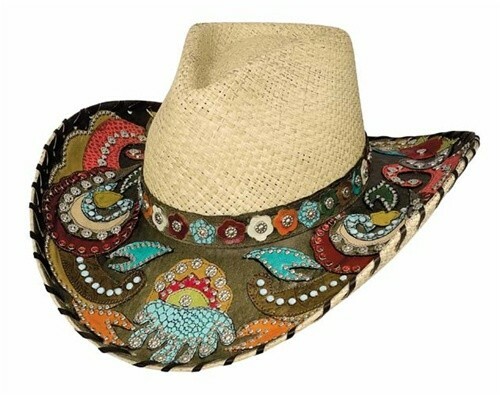 This bright and colorful "Gypsy Queen" hat is a great example of that great and innovative products that Bullhide produces. The hat was hand woven in South America and features a bright and colorful topside brim that it will instantly build your confidence and brighten your day. There is a reason this hat is a best seller! 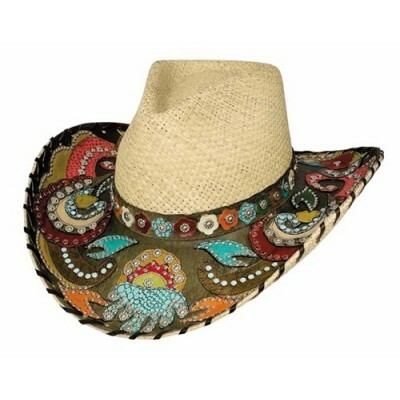 Grab this colorful hat today!